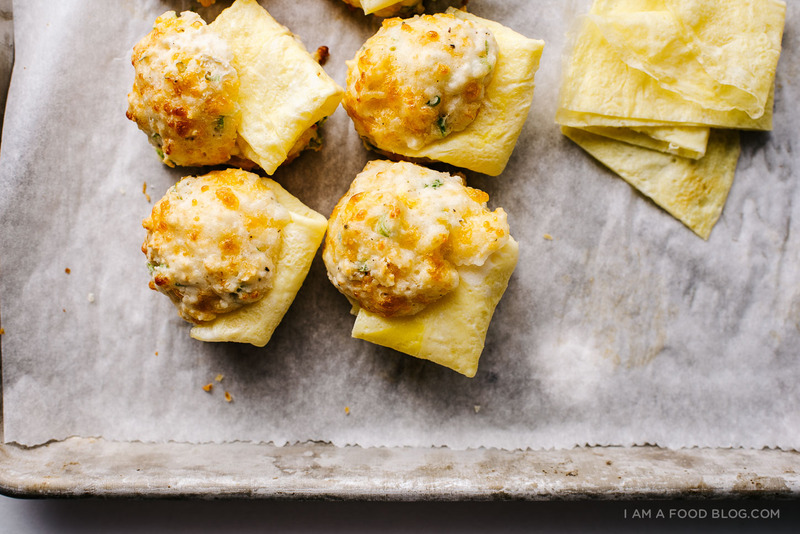 Make some brunch this holiday season! I've got you covered with these 12 winter holiday brunch ideas. Winter brunch time is the best time and here are 12 of my favorite winter holiday brunch ideas. Because what could be better than lazy brunching while the snow is falling outside? Fire up a holiday movie (my favorite is Love Actually but I’m tempted to watch Mariah Carey’s cartoon about wanting a puppy for Christmas) and let’s get cooking! 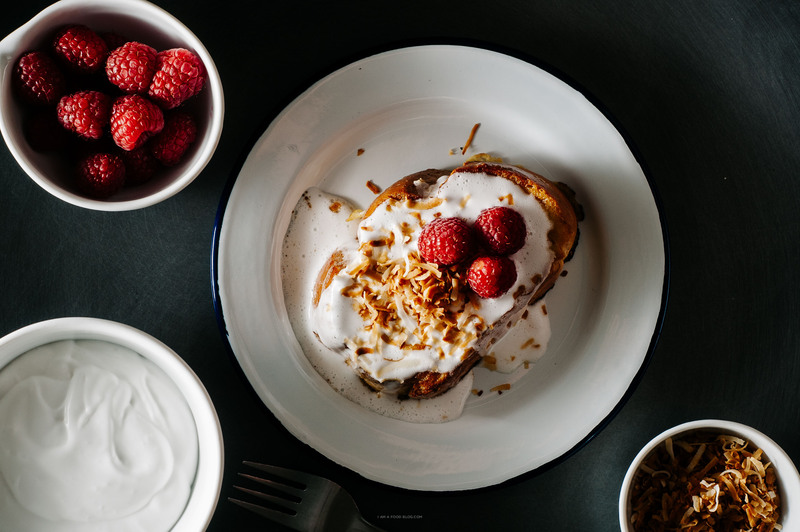 Coconut French Toast – Three kinds of milk and coconut means this french toast is creamy, custard-y, and over the top good! 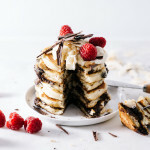 Epic Rice Cooker Pancake – set it and forget it! 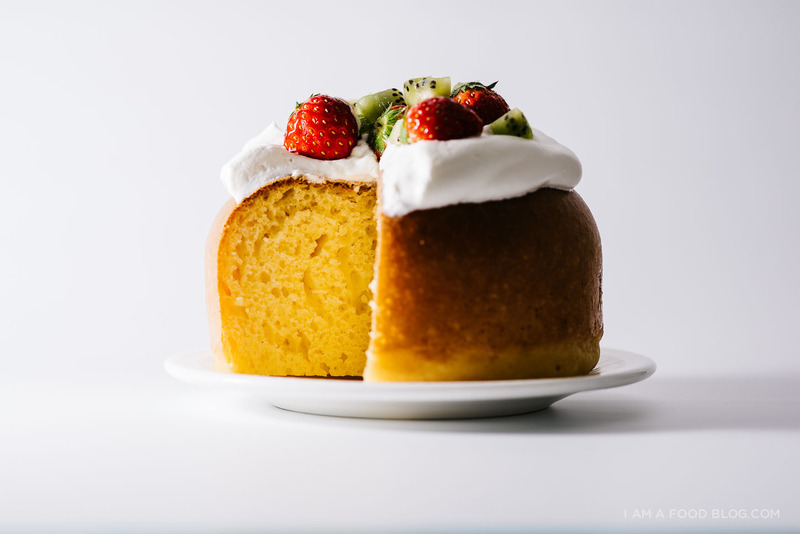 More like a giant fluffy cake than a pancake; throw on a bunch of softly whipped cream and fruit and you’ve got a brunch you won’t forget. 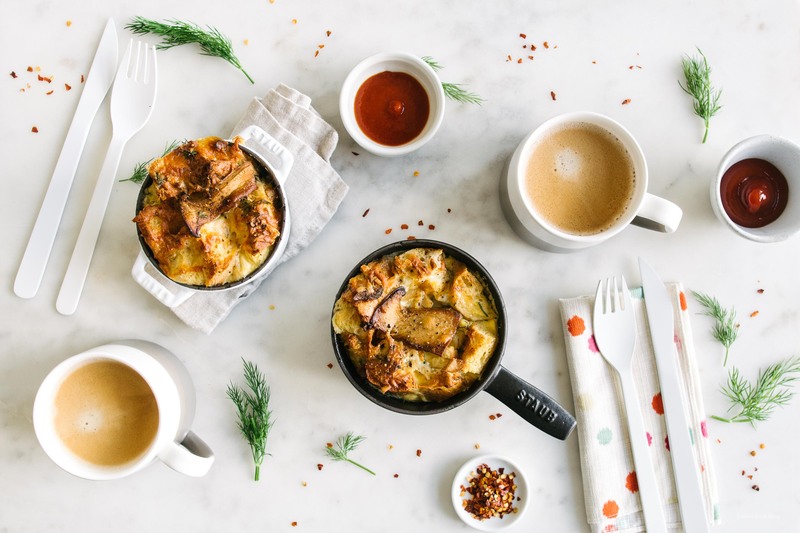 Choose Your Own Adventure Breakfast Strata – Make your ultimate breakfast strata with this bread to egg to fillings ratio. 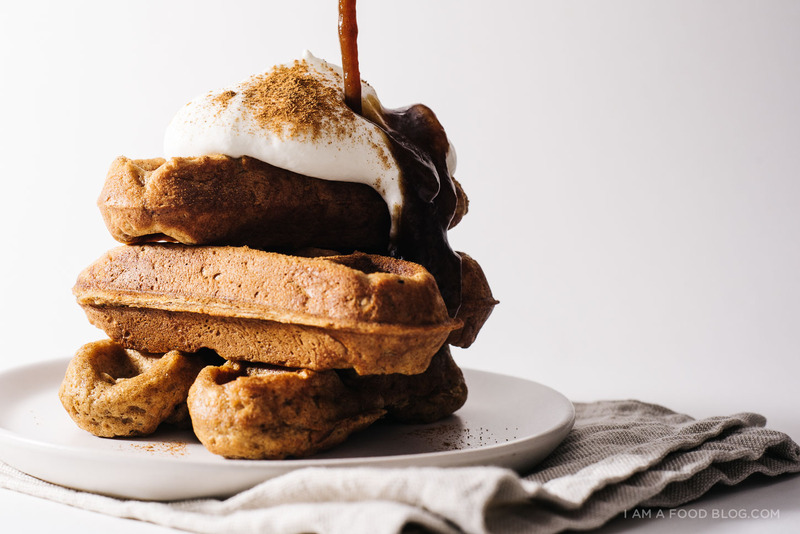 Put in anything and everything you want for a prep-this-the-night-before brunch. 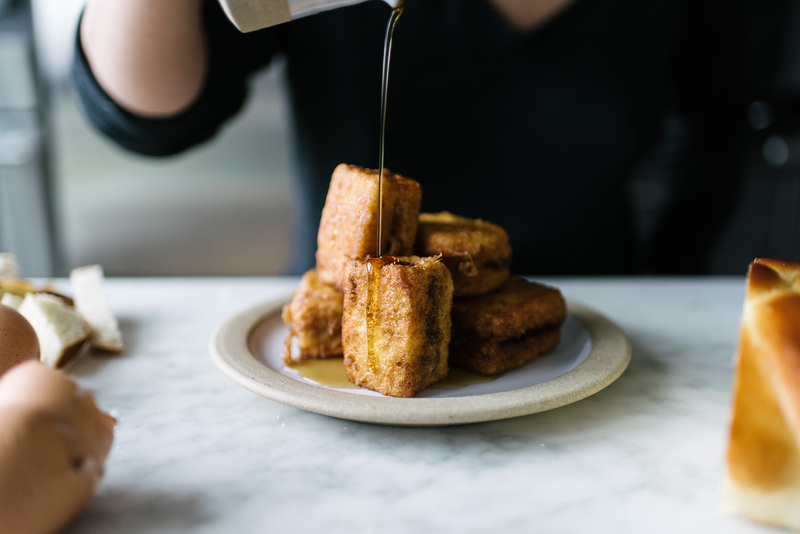 Hong Kong Style Nutella French Toast – French toast, deep-fried style because that’s how they do it in Hong Kong. Stuffed with nutella because that’s how we do it at home. Tuna Melt Waffles – I love tuna melts and I love waffles so they had a baby and this tuna melt waffle is everything you ever dreamed off and more. 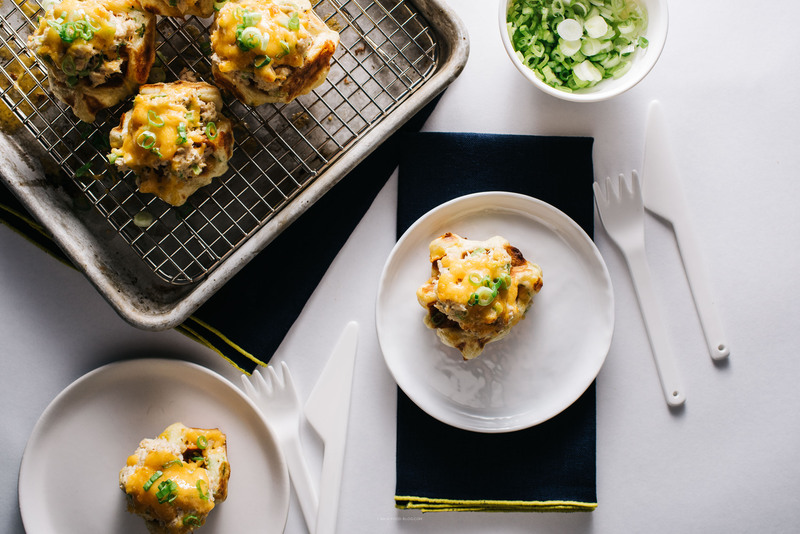 Sour Cream and Cheddar Drop Biscuits – These may be the easiest biscuits you’ve ever made because they’re drop biscuits and you literally just mix them up, drop them on a pan and bake. I filled them with thin egg crepes because eggs and biscuits are true love. 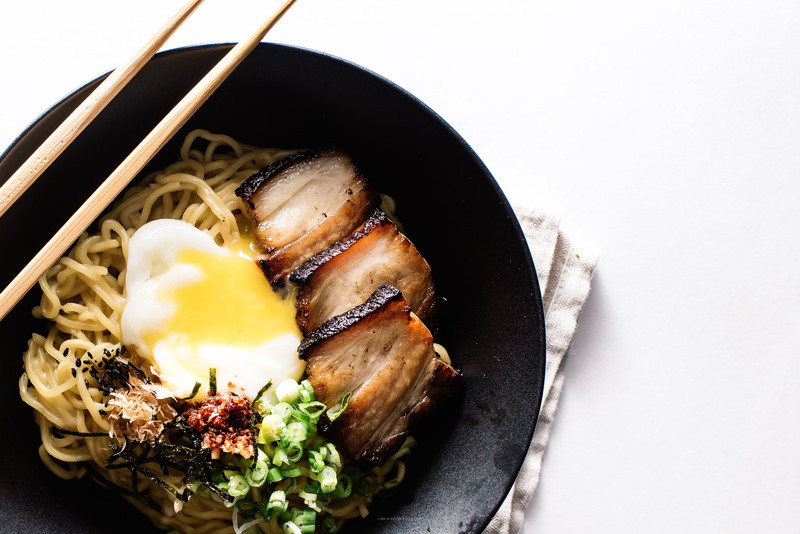 Bacon and Egg Ramen – Bacon and eggs because bacon and eggs and ramen because noodles! I love noodles for brunch and this bowl does not disappoint. 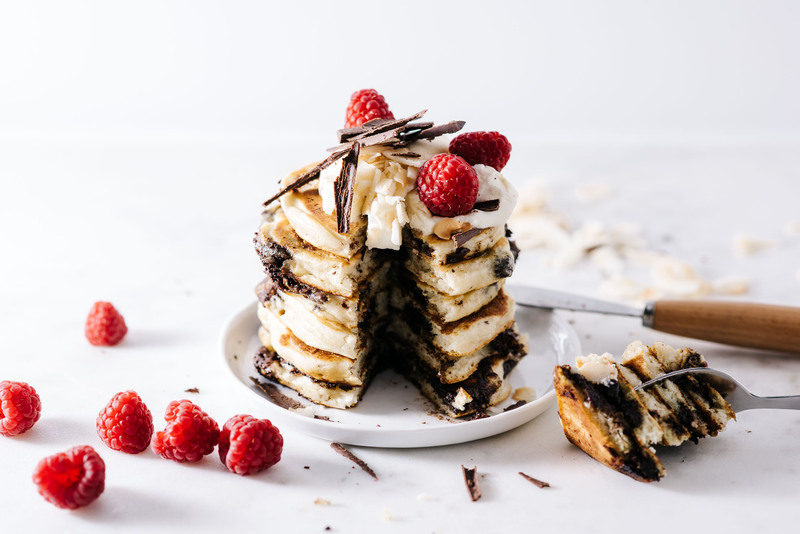 Chocolate Coconut Pancakes – I have a thing for coconut during the holidays so these fluffy coconutty chocolate pancakes are my jam. 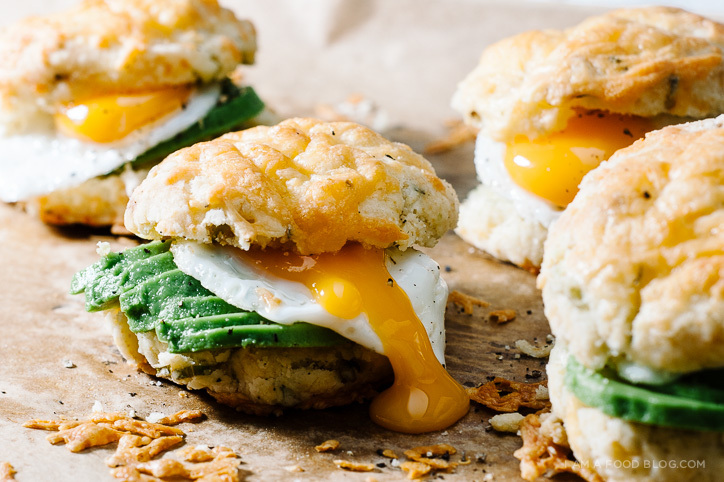 Avocado and Egg Mini Biscuits – Have you had avocado in biscuits? I love the creaminess and the bite, especially when paired with a mini sunny side up quail egg. Cute and delicious! 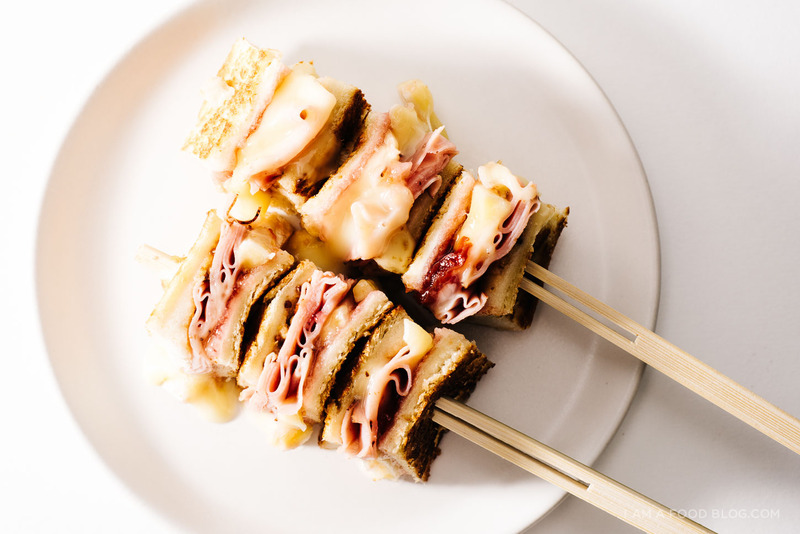 Ham and Brie Breakfast Grilled Cheese – brie, ham, and jam! Grilled cheese for brunch, yes please! 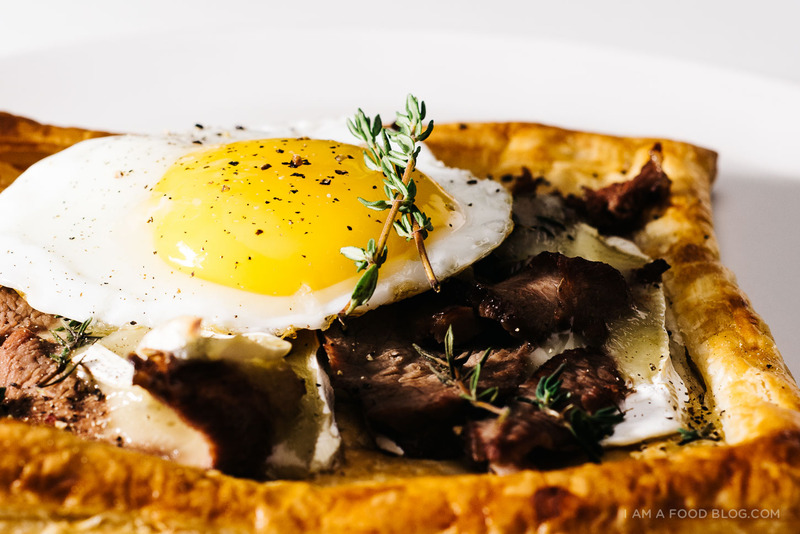 Roast Beef and Egg Breakfast Tarts – easy, yet elegant, this puff pastry tart makes use of any leftover roast beef you have on hand. Or, you could substitute in any vegetable or protein. Throw an egg on it and you’re golden. Those roast beef and egg breakfast tarts look delicious. i need to look for that this weekend.